Over the 40 years, Jeffs has seen changes in dentistry. Equipment has become more elaborate and techniques simplified. Attention to potential infection has improved with dentists and staff using gloves and masks, he said. There has been a steady increase in the cosmetic side of dentistry. From bleaching of teeth to the increased demand for implants, people are thinking about how they look. Marando said he’s noticed more middle-age people are considering cosmetic work such as bridging and bleaching. 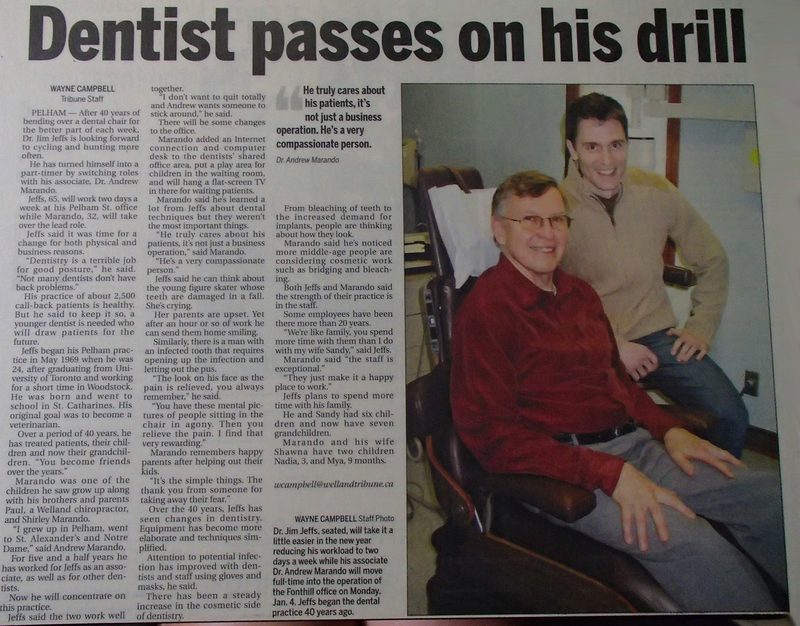 Click here to read the full article in the Welland Tribune.